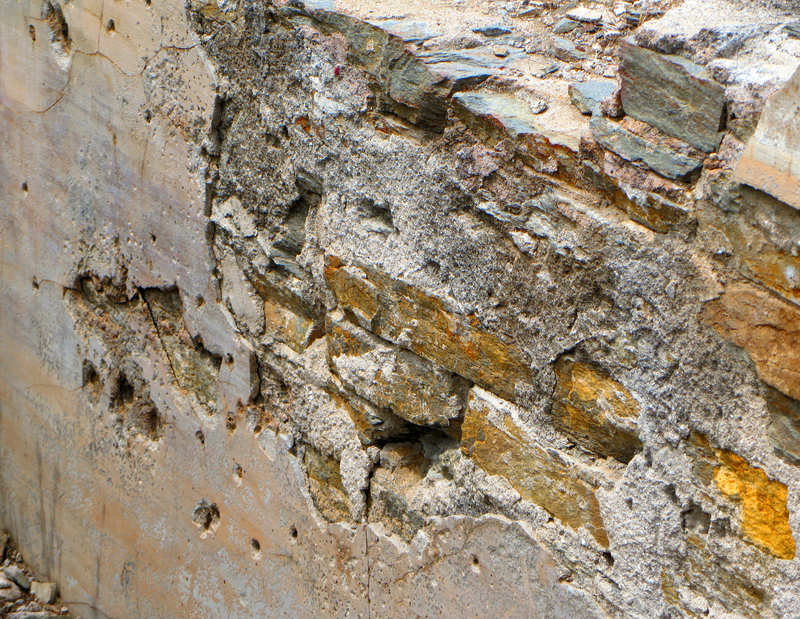 May 5, 2014 — If those walls could talk ... they might say "gurgle, gurgle." 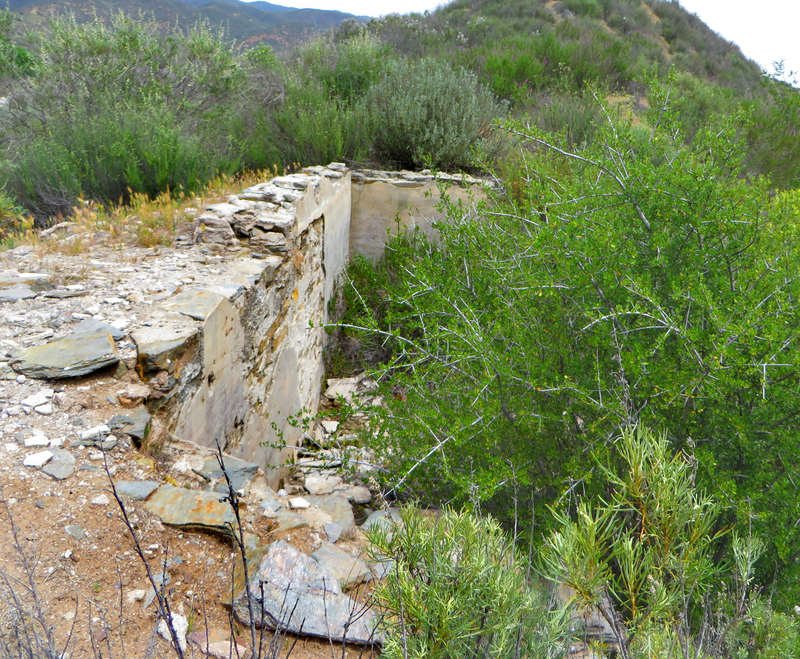 The ruins of a stone and masonry structure — possibly a hotel — on the former Tucker Ranch sit just above (north of) the St. Francis Dam. 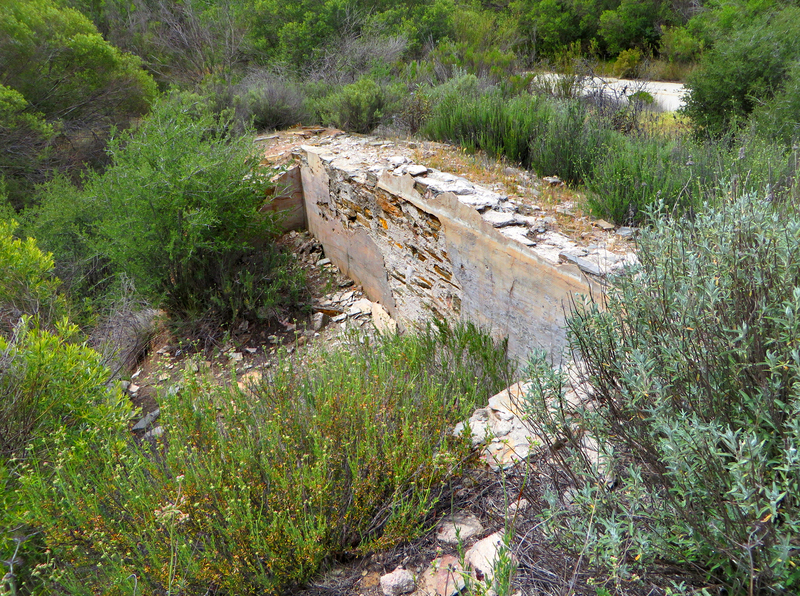 It was submerged under the reservoir when the dam was completed in 1926. 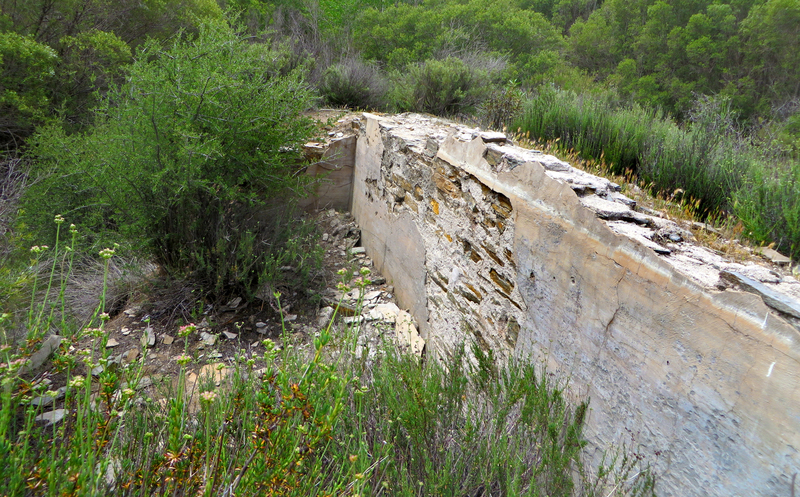 What was left of it resurfaced two years later when the dam broke. Research by Tricia Lemon Putnam and Ann Stansell. Simeon Tucker was nearly 50 when he traded his successful orange groves near Anaheim in early 1896 for a ranch in San Francisquito Canyon where he would try his hand as a hotelier. Born in Illinois, Simeon Tucker (June 1, 1847 - Nov. 6, 1941) had been brought in 1859 or 1860 to the gold country by his father, Frederick L. Tucker, who had caught the gold bug. In 1875, Simeon, who had been working as a fruit vendor, moved south to Westminster, which was then in Los Angeles County (Orange County broke off in 1889). He set out a farm, sold it after five years and moved to Anaheim, which had started as a German colony set out with vineyards. Simeon tried grapes, but they failed, so he switched to oranges and prospered. No sooner had he come to Anaheim in 1881 than Simeon found a bride there. He married Lizette "Anna" Parker (Nov. 4, 1841 - Oct. 26, 1945), a New Yorker by birth, who had a daughter from a previous marriage (the future Mrs. Lottie Bush). Together Simeon and Lizette had one son, Robert Earl Tucker (Sept. 4, 1883 - Nov. 2, 1951). Lizette had a third child who did not survive to 1900. Los Angeles Herald, Feb. 21, 1896. According to a notice in the Los Angeles Herald, Feb. 21, 1896, Simeon Tucker reportedly "exchanged his ranch near Anaheim for a stock ranch in the Antelope Valley." This would actually be San Francisquito Canyon in the Santa Clarita Valley. He is listed in the 1896 voter registration index for the Newhall Precinct, where he registered June 20, 1896, as a "farmer, age 45, 5'10", dark complexion, black eyes, black hair" (he was actually 49). His "stock ranch" was located just north of Salome Raggio's property (seen at the top of this map), seven miles up San Francisquito Canyon Road from today's Copper Hill Drive. We don't know what he farmed or ranched there — he had previously raised hogs — but a biographical sketch in "History of Orange County" by Samuel Armor (1921) tells us he "went into the hotel business at San Francisquito Canyon, and the large stone building he then acquired is still standing." The wording suggests the hotel was preexisting; perhaps it served travelers on the stage route through the canyon. 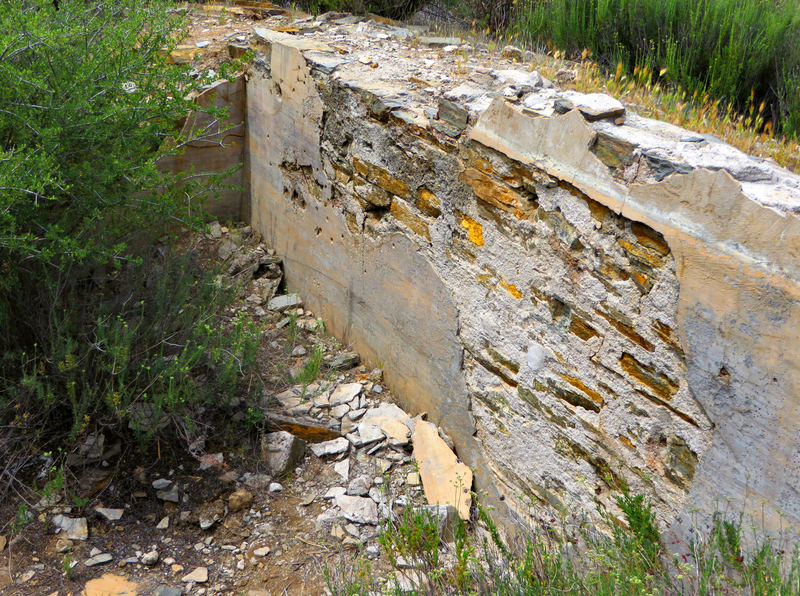 Stations were located a few miles down the canyon on the Ruiz property, and up the canyon four miles south of Elizabeth Lake Road. 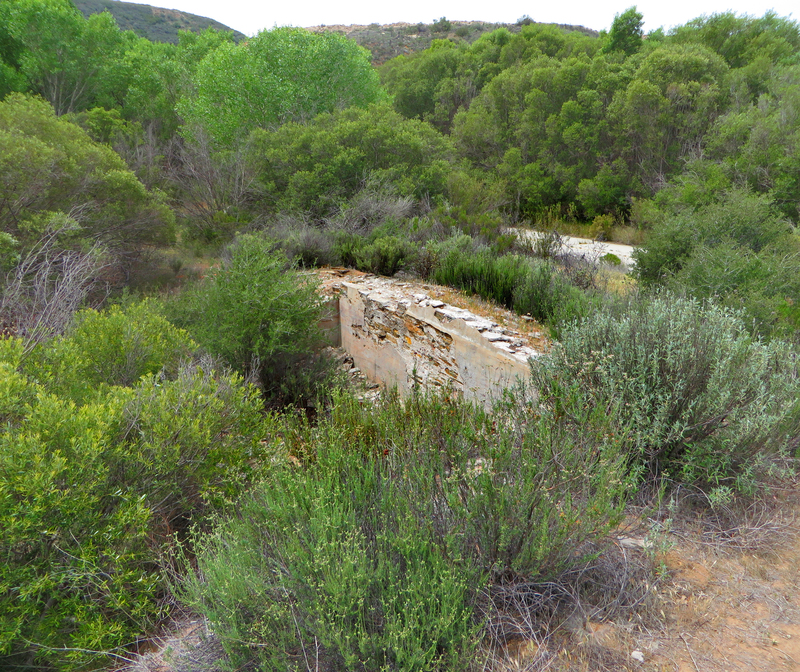 Their residency in the canyon at the turn of the 20th Century was contemporary with that of Rosara Ruiz, Rome Parea, Delores Cordova, Saloma Raggio and Mathea LaBrun, according to the 1900 Federal Census for Newhall. 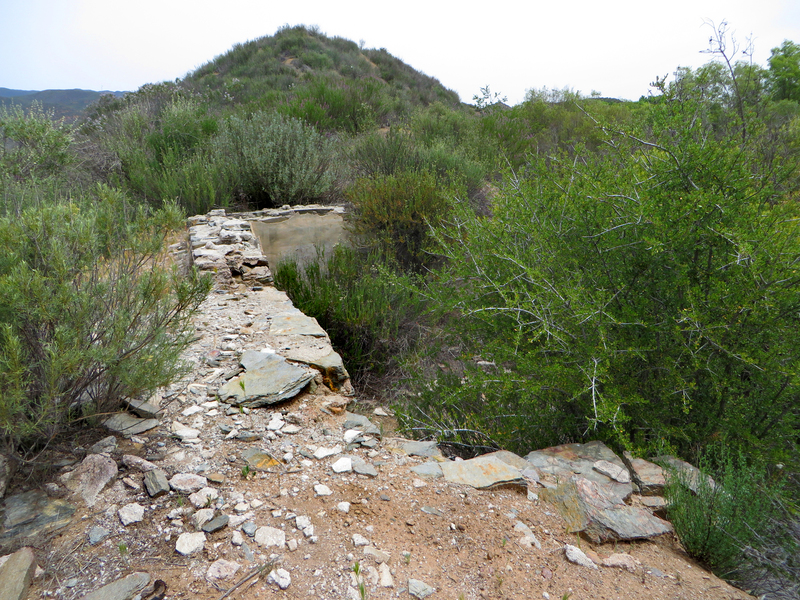 While the hotel would have been standing in 1921, it was submerged in 1926 with the completion of the St. Francis Dam. What was left of it surfaced two years later when the dam broke. 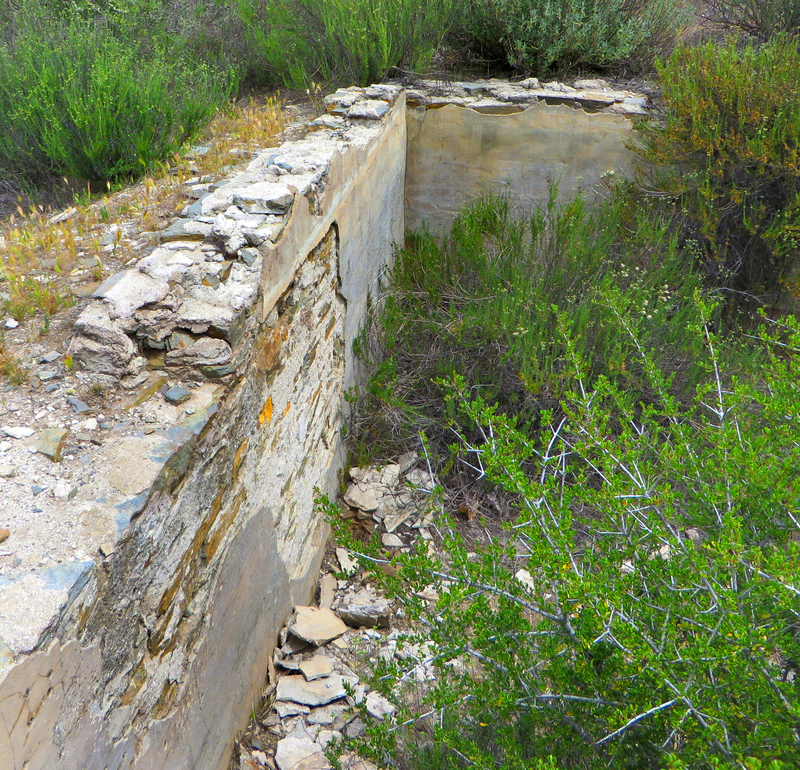 Today the partial foundation, or ruins, of a stone and masonry building on the Tucker Ranch can be seen a short distance north of the dam site, in the former reservoir. While at San Francisquito, according to the same biography, Simeon served on a school board. 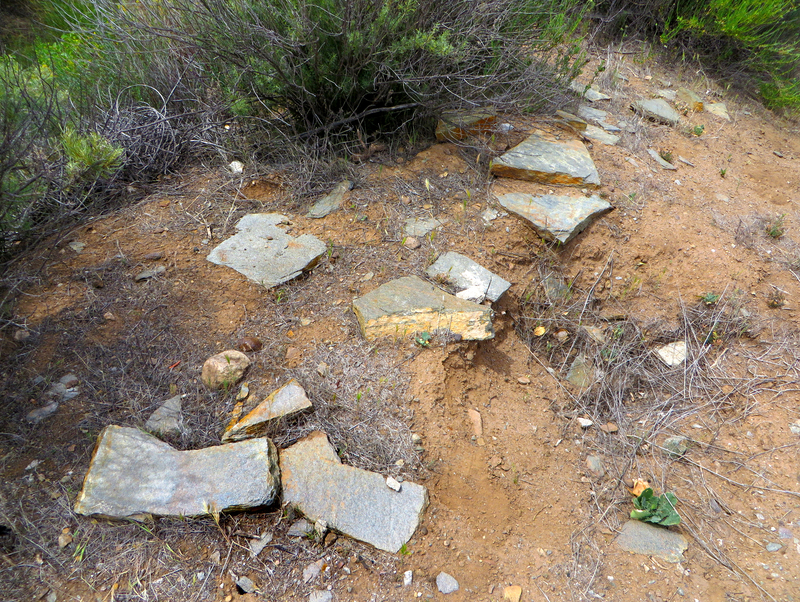 It doesn't tell us what district, although it was likely the Bee, since it was local to the property; the San Francisquito School District was also nearby. All but two of the Bee School's 15 pupils and all but one of the San Francsiquito School's 13 pupils died in the dam disaster. So it's a good thing the Tucker family was gone by then. 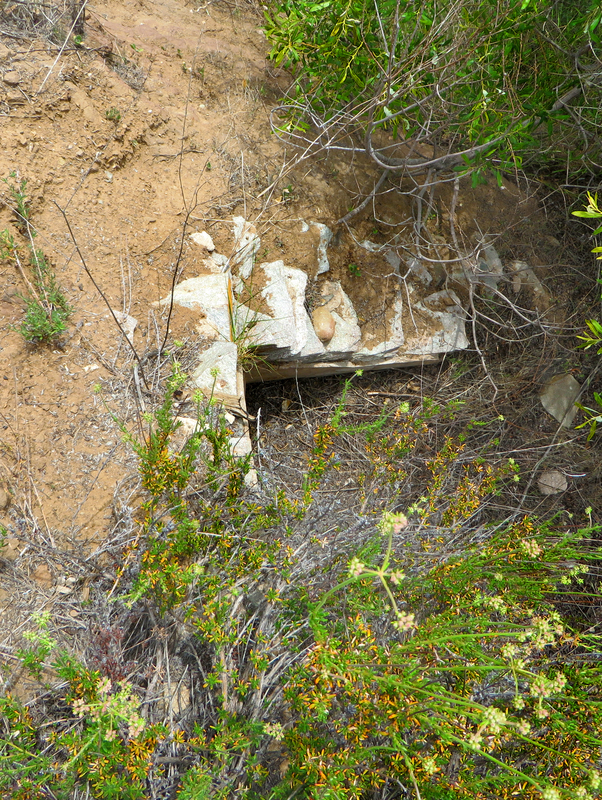 They didn't stay long; a log on file with the Angeles National Forest shows the Tuckers owning the property from Dec. 6, 1898, through April 21, 1902. Simeon had retained 34 acres of farmland in East Anaheim; he moved the family back to that city, bought 40 acres more, set out Valencia oranges and, according to the biographical sketch, was first to do so in that locale. He built a new family home there in 1908. On Aug. 15, 1919, Simeon applied for a passport so he could travel to the northern Mexican state of Sonora for the purpose of improving the land he purchased there. By 1921 he also owned a ranch at Hermosillo. The 1921 biographical sketch identifies Simeon as a Socialist, while emphasizing his "Americanism." Tucker and his wife and son Earl, who worked on the family farm, remained together in Anaheim. Earl wed Laura Lensing, a native of Missouri; by 1940 the marriage had ended in divorce. Lizette's daughter, Lottie, having been widowed, moved back in with her parents, according to the 1910 Census. 19200 dpi jpegs from digital images by Leon Worden.